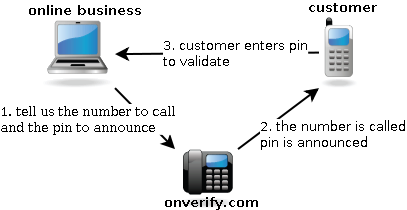 is an automated call to end user, which asks for a pin to be entered. User must enter the pin on phone. onverify.com calls back an url about the result. 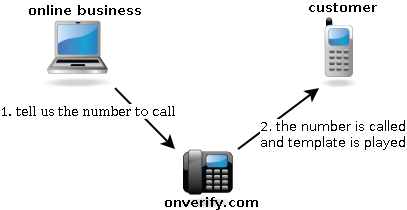 End user calls given number, if number she calls from the number given, pin is announced. User must enter the pin on web site to complete an action. 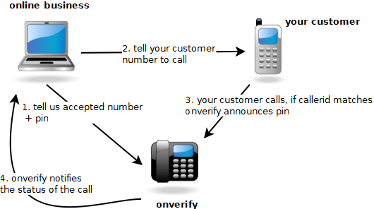 End user calls given number, if number she calls from the number given, onverify runs the template. User must enter the pin on phone. onverify.com calls back an url about the result. 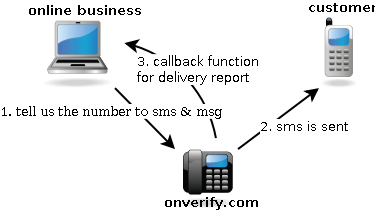 is an automated sms (short/text message) to user with pin. User must enter the pin on web site. 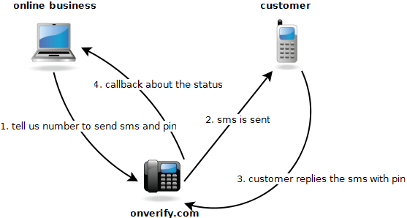 is an automated sms (Short message) to end user. User must reply the sms from his mobile. 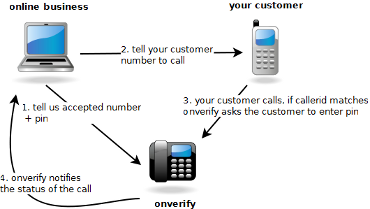 Onverify.com helps your online business to automatically call your customer, validate a transaction, or action. 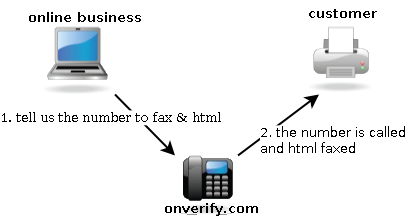 Through HTTP API or SOAP API s, our service starts an automated transparent call to any number you wish to specify. Your customer is then given a verification code to be entered on your web site; which completes the verification. Our service is completely automated. It will help to reduce charge backs and other fraudulent actions by verifying your customer via automated phone calls. A few cents spent using our service will help reduce charge backs which can range from 1-5%, which can be a huge overhead cost of running an online business. You have the option to upload pre-recorded wav file or use the built-in Text To Speech (TTS). Registration is free. Which provides you full access to the system and documentation.